With intensive field sanitation, fungal pressure is minimal in the field trial area. Heavy viral pressure was evident. The CTAHR IR-4 team will look into seeking approval to register one or more fungicides for commercial ti leaf production based on previous field data. Dr. Mike Melzer developed a virus free ti leaf plant in lab. 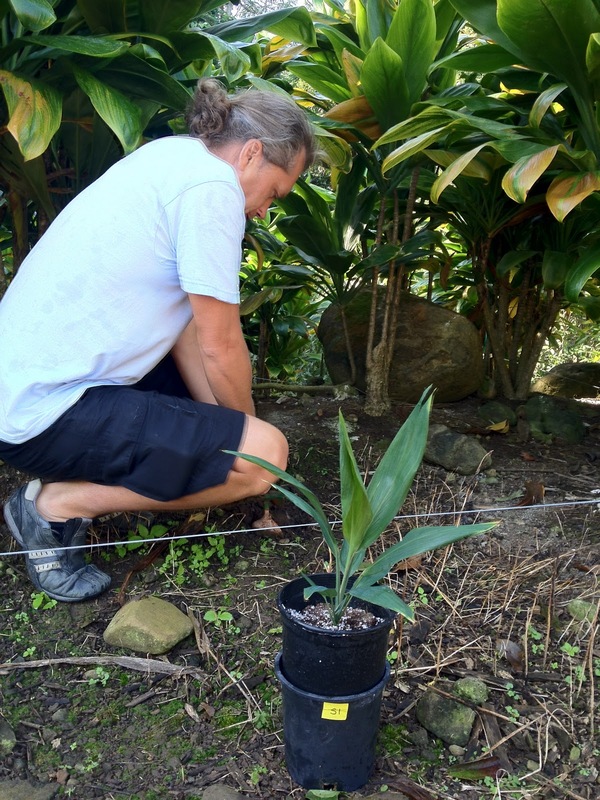 He planted two plants in the Kahaluu area surrounded by virus infected plants in an attempt to isolate the main virus afftecting ti. Infected ti plants test positive for a number of plant viruses. Without further screening, it will be difficult to know what virus we are dealing with. Identification of virus would help us understand how the virus moves, vectors, suppression tactics, etc.